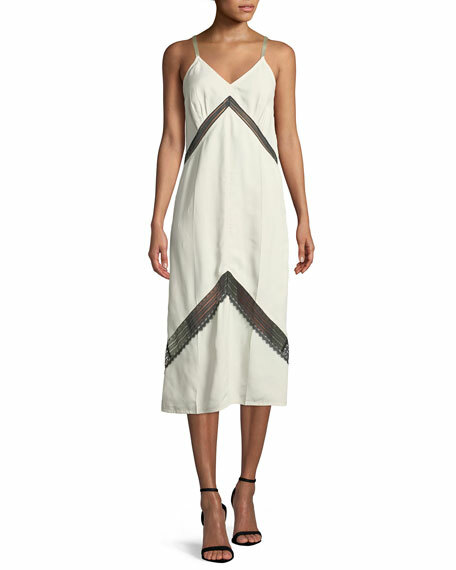 Helmut Lang slip-style cocktail dress with lace insets. 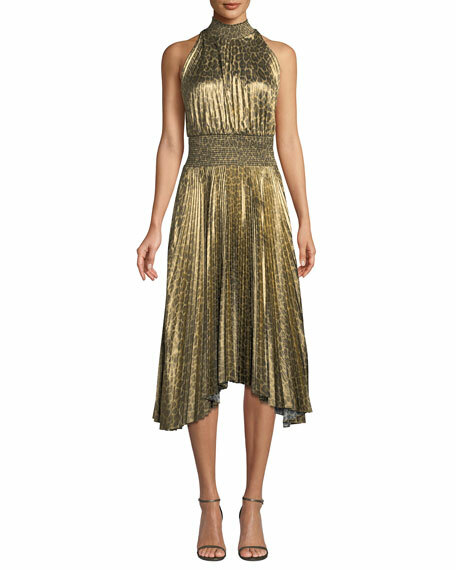 V neckline; adjustable spaghetti straps. Sleeveless. Empire waist. A-line silhouette. Midi length. Slipover style. Viscose. Imported. 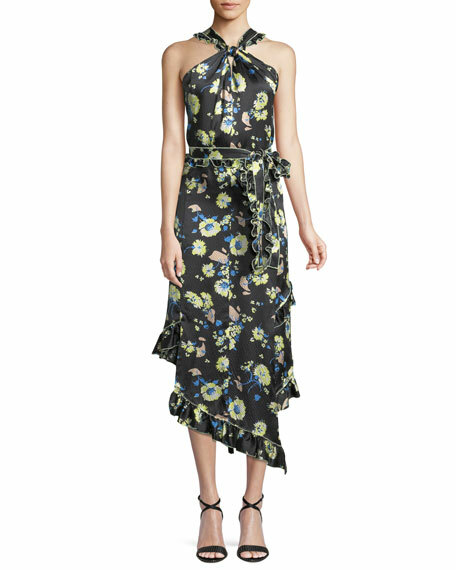 Rag & Bone "Estell" dress in floral-print. 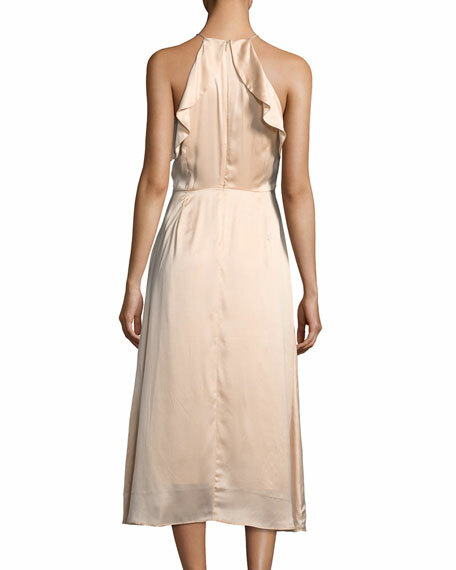 V neckline with deep V'd back. Sleeveless. Side slip pockets. A-line silhouette. Midi length. Slipover style. 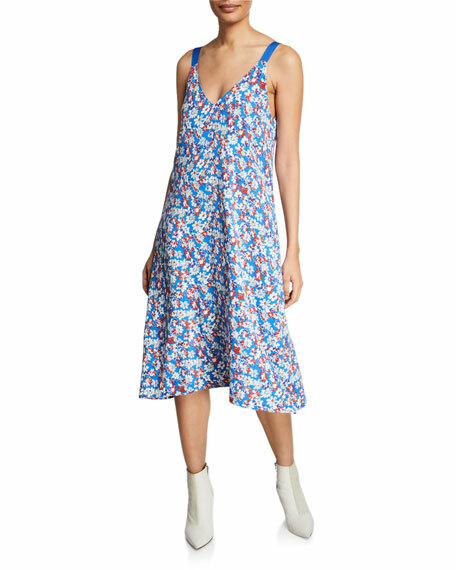 Rayon/viscose. Imported.